Please read this agreement carefully. It sets out the terms under which we agree to make available our website located at https://www.dimples-sew-happy.ie/ (“our website”, “our site”, “this website” or “this site”), however you access it, to you. By using this site, you confirm that you accept the terms of this agreement and that you agree to comply with them. If you do not agree to this agreement, you must not use this site. This site is operated by Dimples – Sew Happy, 27 Blackberry Hill, Old Glenamuck Road, Carrickmines, Dublin 18, D18 D255, Ireland (referred to in this agreement as “we” or “us”). To contact us, please see the Contact page on our site. We offer access to many features of our site free of charge but due to the nature of the Internet, we do not promise full and error free operation of this site at all times. We amend these terms from time to time. These terms were most recently updated on 28th June 2018. It is our primary goal to have happy customers and it is our promise that we will do everything we can do to ensure that you are both happy with our service and products! The following are our terms and conditions in which we conduct business for items ordered through our website. They are intended to be fair to both you as our customer and show our role as a supplier of handmade products. As a consumer they do not affect your statutory rights. They are written to set out clearly our responsibilities and your rights. By choosing to purchase from us you agree to be bound by these terms and conditions, also by our returns policy. We suggest you print and keep a copy of these terms for your own reference. These are the sole terms and conditions by which we agree to conduct business with you and no alteration of these terms and conditions shall be valid. A contract is formed between us when (and not before) we ship your order. Your order will not be accepted until we receive payment and your funds have been cleared. You must be over 18 to purchase from this site. Images, illustrations and all other information submitted or contained in this website, catalogues or any other advertising matter shall not be deemed to form part of the contract but are for general information and guidance only. Customers must read and judge their purchase upon the description of the product. Orders may be cancelled before they have been dispatched in written form only. Orders that have no delivery address supplied or no contact phone number for the couriers to contact, may not be dispatched – these orders will be held until we receive full delivery information including contact number, customers may cancel these orders and receive a full refund prior to their shipping if desired. If you fail to take delivery of the ordered goods and they are returned to us, we will contact you upon their arrival via email. A refund of the cost of goods minus the shipping cost will be given or if the goods are still required, we will ask for an additional shipping cost to make a second delivery. 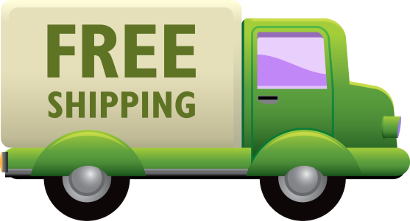 It is the responsibility of you the customer to be at the delivery address given for shipping as some orders cannot be left without signature and customers must be available on their chosen contact number to facilitate the courier to find the address if necessary. We require customers to be available to answer these calls or where voice mail is available to respond to the voice mail in a timely manner. In instances where couriers cannot make phone contact packages may not be delivered. Risk of damage to, or loss of, ordered goods shall pass to you at the time the goods leave our premises for delivery. 99% of packages arrive within the stated time frame and we use a reputable third party courier to deliver the packages, however human errors can happen on rare occasions causing packages to be delayed. Dimples – Sew Happy cannot be held responsible, should your package not be delivered on time, as delivery is the responsibility of a third party courier. Normally everything displayed on our site shown as in stock is present in our premises available for immediate dispatch however if any ordered goods are not readily available to us, we reserve the right to withdraw our acceptance of your order for such goods and will refund in full any payment you have made for them. In the unlikely event of this happening we undertake to notify you at the earliest opportunity. It is our experience that delivery is 99% of the time within the chosen delivery time periods, however we do use a third party courier service and on occasion human error may cause a package to be misdirected. Please notify us if you do not receive your package when expected and we will do our best to get it delivered as soon as possible. We warrant that, upon receipt of goods, the ordered goods will correspond with the written description on this website, will be free from defects in materials and workmanship and will be of merchantable quality (as set out in Sale and Supply of Goods Act 1980). There may, however, be minor variations between the goods as shown or described on our website and those dispatched to you (but so that the goods dispatched will always be of a comparable or superior quality). This is due to the promise that all our goods are Handmade in Ireland and therefore every item is unique by definition. Except in the case of death or personal injury caused by our negligence, we shall not be liable to you by reason of any representation or any implied warranty, condition or similar term, or any duty at common law or under these terms and conditions, for any special, indirect or consequential damage. Any communication between us should be made via e-mail, where communication is made by phone all aspects of the conversation which you wish to be included in forming part of the conversation must be clarified by e-mail within one hour of the conversation. E-mails sent will be deemed as read, it is your responsibility to ensure that the email address supplied is accurate and capable of receiving our e-mails.